Junkyard Dog Productions and The Musical Company will celebrate the release of the original Broadway cast recording of the musical Come From Away with an in-store performance and CD signing at Barnes & Noble (150 East 86th St at Lexington Avenue) on April 7 at 4:30pm. Creators Irene Sankoff and David Hein will be joined by cast members Petrina Bromley, Geno Carr, Jenn Colella, Joel Hatch, Rodney Hicks, Kendra Kassebaum, Chad Kimball, Lee MacDougall, Caesar Samayoa, Q. Smith, Astrid Van Wieren and Sharon Wheatley, along with musical arranger and supervisor Ian Eisendrath. Fans who purchase the CD at the store will be offered priority seating. The cast album for Come From Away was released digitally on March 10. The CD is now available for pre-order and will be released online and in stores on March 24. Grammy winner David Lai, Ian Eisendrath and August Eriksmoen, along with Sankoff and Hein are the album's producers. 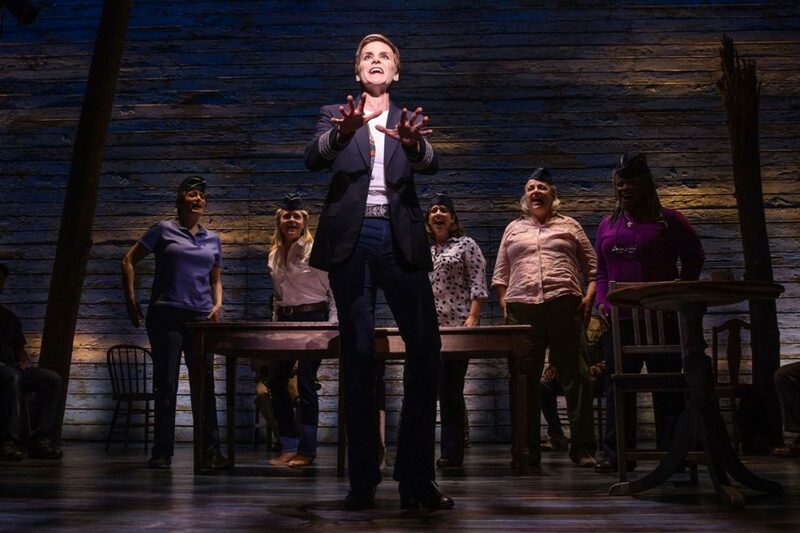 Come From Away is the first cast recording released by The Musical Company. Come From Away follows a group of travelers stranded on 9/11. The musical represents the height of a dark time, on September 11, 2001, in Gander, Newfoundland, where 38 planes and 6,579 passengers were forced to land, doubling the population of one small town on the edge of the world. On September 12, their stories moved us all. Directed by Christopher Ashley and choreographed by Kelly Devine, the show opened March 12 at the Gerald Schoenfeld Theatre.